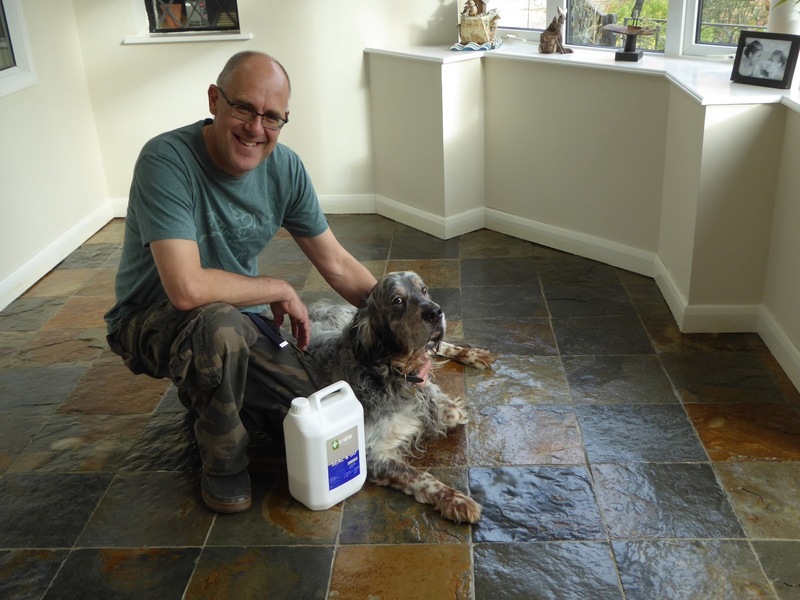 We are pleased to announce the winner of the Tile Doctor Photo Competition is Mr and Mrs Godfrey of Loughborough who used Pro-Clean and Seal and Go to restore the appearance of their beautiful Slate tiled floor. As well as a great looking stone floor the Godfrey's have now been refunded £100 and we will shortly be resetting the Facebook Photo Competition app for the next competition. For more details of the competition where you can win a £100 refund or products from Tile Doctor for the best photograph please visit our FaceBook Page and click the Photo Competition tab. Just upload a photograph of you with a Tile Doctor product on or in front of your finished floor or wall, winners are selected monthly.